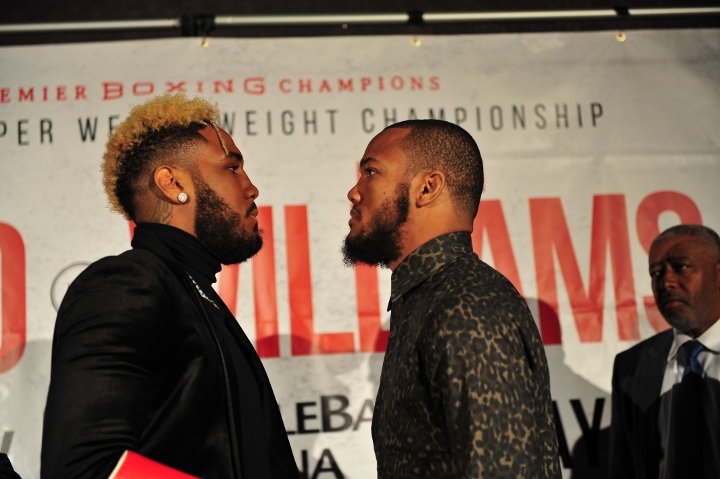 Julian Williams is deep in preparation ahead of his highly anticipated showdown for his clash for the IBO, IBF and WBA with the highly rated undefeated Jarrett 'Swift' Hurd. 'J-Rock' opened up about getting the opportunity to clash with the Hurd and what he had learned from the Charlo loss, "Hurd is the number one Super Welterweight in the world and I want to fight the best so I'm really excited about this fight as it will really show who is the best Super Welterweight in the world. "I've matured since the Charlo fight and I have developed patience in and out of the ring and that is why things have changed and I have been winning since." The fight will take place in the unified champion Hurd's hometown of Washington D.C. and will be the champions first fight at home since 2014 and his first title defence in front of his home crowd. Williams gave his take on the challenge of fighting a fighter regarded as the best in the division in his hometown. He said, "It doesn't bother me, the fans can't fight for him, the trainer can't fight for him. When we're in there it's just us in a ring and I'm confident that it will be me coming out on top. "To be unified champion of the world is every fighter's dream. That is what I believe I will achieve on May 11. I am not going to reveal how I am going to but I believe it's going to be a very competitive fight with the two best out there fighting each other and it will end in Julian Williams becoming IBO, IBF and WBA World Champion." I like Williams BIG in this one. Hurd is tailor-made for Julian. He’ll just have to avoid getting caught with something big late. Once again. The fight is in Fairfax, VA.